The Panasonic SC-HTE80 Sound Base is now sat nicely underneath my TV and I am impressed with its performance! We all have flat screen televisions now and unlike the old bulky square televisions, the sound doesn’t quite cut it, that’s probably down to the fact that they are so thin and so fitting in good quality speakers isn’t an option. The solution is to purchase a sound bar or a sound base, I personally prefer a sound base as it sits under the television. It’s a one piece unlike the sound bars that have a separate sub-woofer and so its a bit neater. I did originally plan to get a Sony Sound Base, our television is a Sony Bravia and buying the same brands means that you can use the inbuilt functions that link the television and the sound system. However I saw the Panasonic SC-HTE80 Sound Base and when I tested it, the performance was better. 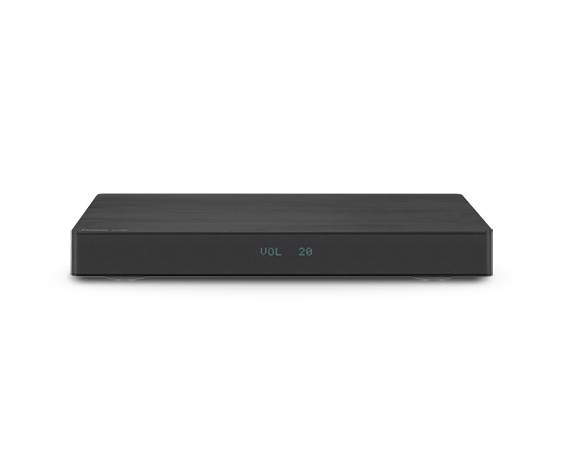 The Panasonic SC-HTE80 Sound Base measuring 460mm wide and has a total output of 120w with 2.1 output , HDMI in and out, Optical digital input, Analogue input and a USB port however that is for service use only. I could list the many specs that this Sound Base boasts but they can easily be found on the Panasonic website, the purpose of a review is to explain the best I can about how it performs in my home. I tested the Panasonic SC-HTE80 Sound Base in Waitrose where we purchased it, I connected via Bluetooth and played music and a YouTube video but these things sound very different once you get them home and set up. The Sound Base has various sound settings, Standard, Stadium, Music, Cinema, News and stereo, we just keep it in Cinema and it produces a very rich sound and then there is the option . There are then a selection of sound settings, 4 subwoofer levels, 4 levels for dialogue, Harmonic bass, 3D Clear Dialogue, Dual Audio, Auto gain Control and Low Vol Mode to enhance dialogue in low volume. Our lounge is roughly 13′ x 18′ with a ceiling height of about 9′ and the sound produced in this space more than meets our needs. We often play music and the Sound Base can reach a high level of sound and still maintain its quality, the bass obviously isn’t going to be comparable to the boy racer who passes us everyday in his Vauxhall Corsa making me think there is an earthquake but its enough. The Dialogue settings feature is very handy, I have used it on a couple of occasions to improve the clarity of dialogue whilst watching a film. I used the same scene when I tested a pair of Bluetooth headphones, not only is this a favourite of mine but the sound in this scene is incredible and the Panasonic SC-HTE80 Sound Base was on probation until I was satisfied that it handled the sound from this scene. Of course ideally I would have 7.1 surround sound but I don’t have 7.1 surround sound money, but I am happy with the performance of the Panasonic SC-HTE80 Sound Base. If you do have a Panasonic Television then the Panasonic SC-HTE80 Sound Base will also use the Viera link settings on the Sound Base. Earlier this year the remote stopped working and so I put this down to the battery, I then forgot about it and in November when the unit was now 18 months old, I finally bought a new battery and still no response. I wondered if the remote had malfunctioned and so I tested it with my SOny Tablet, it has an infrared function and can act as a remote and learn functions from remotes. It told me that the Panasonic remote was putting out a signal and it learnt the functions and still no response from the Soundbase. This is even more problematic because the unit only has buttons on it to turn on and off, volume up and down and select input. So I can’t put it in pairing mode for bluetooth anymore and I can’t access the sound settings or functions. A search on the www has shown me that other people have had the same problem, however because I am now out of warranty, I am screwed! Panasonic contacted me via private message on Twitter and offered to send out a new remote control for the soundbase. This unfortunately didn’t work either and so the issue was with the unit and not the remote. However Panasonic have sent out a new soundbase even though the faulty one was out of warranty. It is all set up and I doff my hat to Panasonic support. I purchased the Panasonic SC-HTE80 from Waitrose for £135 but it can be found elsewhere slightly cheaper.